Ok – maybe not World’s best – but definitely Montreal Island’s Best…. 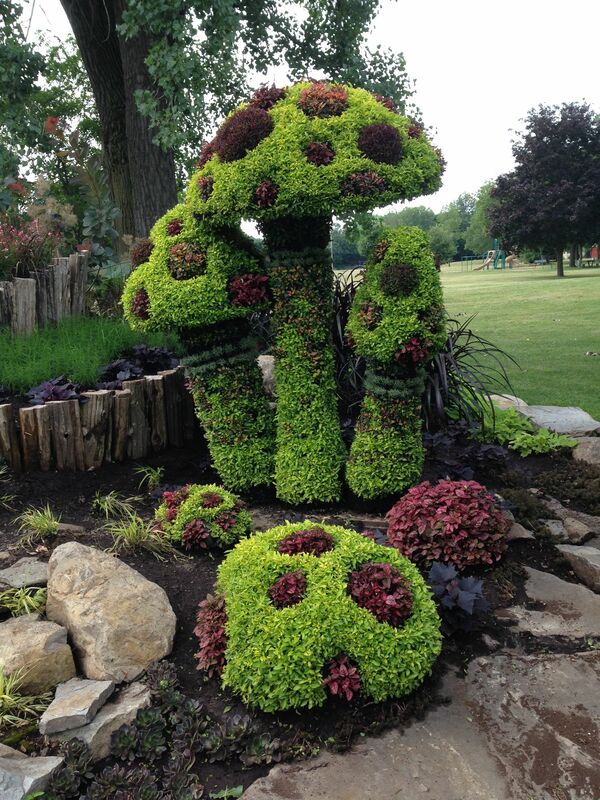 I adore landscaping – particularly landscaping that combines fun, beauty and great design inspiration! So imagine my surprise when I realized that one of the tiny gardens I most often drive past has had a complete redesign to make it one of my all time favorites! The location of the mini-garden in questions is a park in Dorval – at the intersection of Fenelon Boulevard and Dawson Avenue. The cool thing is that if you are taking Dawson – you drive straight into the garden! 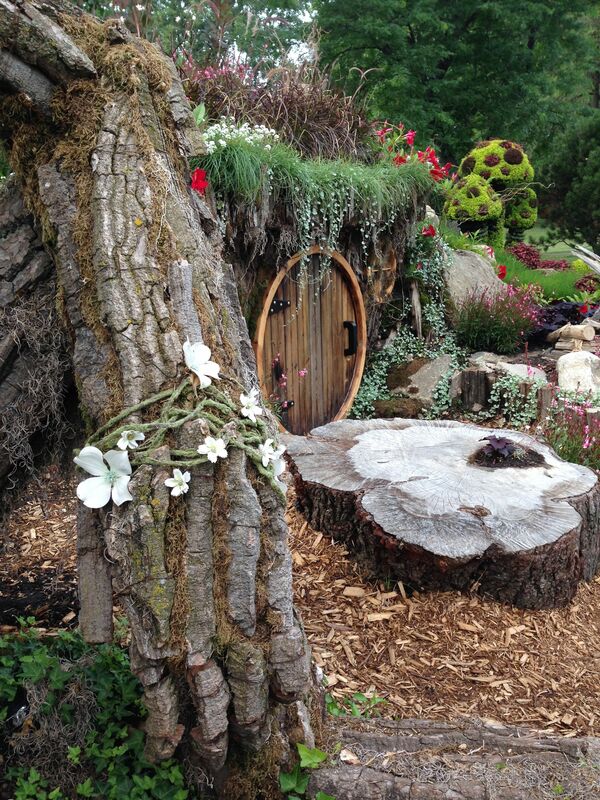 And this is not a garden – it’s a hobbit hole – with an Ent sitting nearby admiring his toes. There are mushroom trees – a walkway to the round door of the hobbit hole – in fact the only thing missing is Bilbo Baggins. To create the Ent – the designer has taken a tree – and given it eyes, hands, a mouth, legs and arms. But it’s not just a ‘boring’ Ent – it’s a living breathing Ent. I particularly like the way flowers twine around his arm. To the right of the hobbit hole are these majorly glorious mushroom trees sporting bright green leaves. I’m not alone in admiring this beautiful garden – in addition to admiring my pictures – check it out on-line. 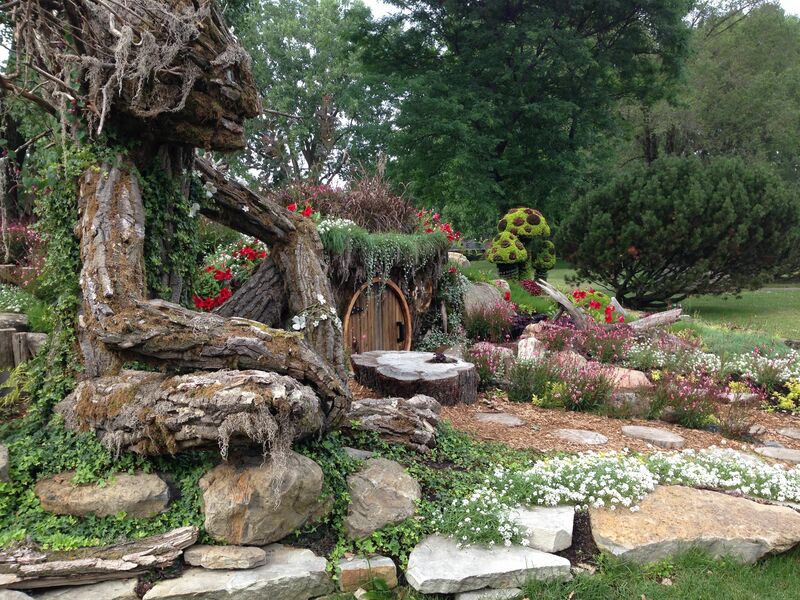 Dorval’s Hobbit Garden is definitely worth the drive by – if not the stop and take pictures! And say hi to the Ent when you visit! ← How much does a shack on the beach cost? Wow! You have to bring Sophie and Anais there! It looks amazing and we’ve just been watching Lord of the rings all over angain this past week!! !